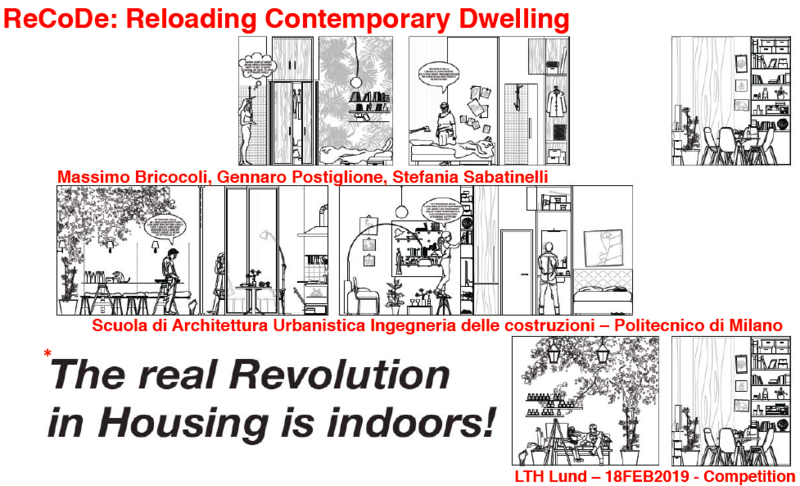 In the past three years, a multi-disciplinary group of colleagues at the Politecnico di Milano have been exploring trends in housing and dwelling practices and the need for new kinds of housing, policies and processes in Italy. 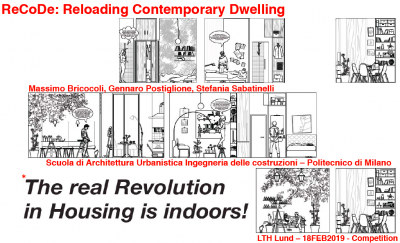 The research aims to identify innovative, up-to-date housing solutions (in terms of building types, furnishing, layout, management and promoters) capable of meeting the urgent housing needs created by the profound socio-demographic transformations that have taken place in the West over the last few decades. Using a Design driven Research approach, the presentation sets out to answer the following questions. What are the best solutions to solve the mismatch between housing demand and supply in the contemporary city? How can the housing market be made accessible and affordable for vulnerable households? How can the current housing stock be upgraded without causing gentrification? How can the legacy of the Architecture of Interiors fruitfully contribute to the social and urban transformations of the city environment? This entry was posted on Tuesday, April 2nd, 2019 at 7:33 pm	and is filed under case studies, lab-INT#1/2019, lectures.